This site plan shows the area of investigation for my Masters project. The blue band running across the top of the plan indicates the Leith Canal which was also included in my explorations. 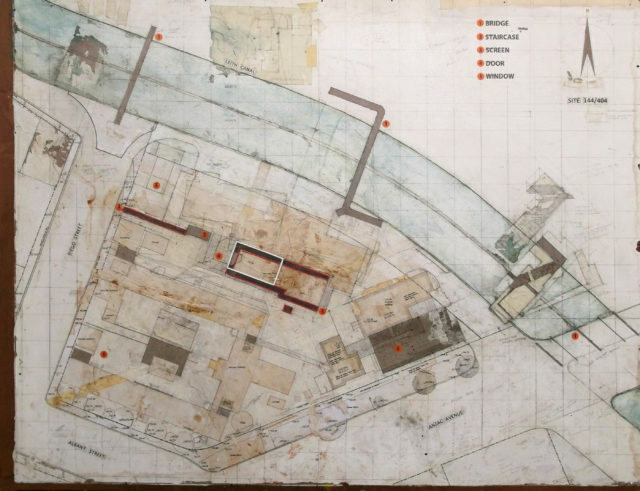 As I uncovered more information about the history of the site from the archives, I layered it into the site plan. This artwork was built up over 2 years.